Joab sends a messenger back to David to report about the battle. The messenger reported to David that they won the battle, but men were lost, including Uriah the Hittite. Bathsheba dutifully mourned, and then married David. God was displeased. David says we are blessed because our sins are forgiven and not held against us. David was weighed down under his unconfessed sin. He confessed and was forgiven. God’s unfailing love protects those who trust in Him. 7) Uriah died. Bathsheba married David. 8 ) Currently, we’re not seeing it. We’ll see it later on. He displeased God (never a good thing to have God mad at you). He had to compromise his integrity and kill his friend. I can’t imagine he’s feeling all that great. All for one night with a woman. In Psalm 32, he later says the secret of the sin sapped his energy and weighed him down until he confessed. 9) Personal Question. My answer: Don’t cover up sin with sin. Confess now, be forgiven, and let the weight be moved from your shoulders, so you can move forward with your life instead of living in guilt. David doesn’t seem too concerned, does he, that he murdered someone. I guess when you’re used to killing people, what’s one more life? I image David felt relief more so than remorse over his actions — until God gets involved. Then his attitude will change. In Judges (Judges 9:50-57), Abimelech was killed by coming too close to the walls of a city under siege. The idea is that Joab knew it was a bad military move to get so close to the walls, but he did it anyway on the command of David. We have no reason to believe that Bathsheba knew that David arranged the death of her husband. It is likely that David concealed all this from Bathsheba. At the same time, she was partly relieved to hear of her husband’s death, considering now she would not be branded and adultress and she’d be a queen! David was probably heralded for marrying the wife of one of his soldiers killed in battle. FUN FACT: This is the first mention of God in the chapter. God witnessed every event and read the intent of every heart, but His displeasure is only implied until this specific statement. This Psalm is simply titled, A Psalm of David. A Contemplation. The Hebrew word for contemplation (maskil) might be better understood as instruction (Boice). This is the first of twelve psalms with this title. It is full of instruction and contemplation and worthy of meditation, as indicated by the frequent repetition of Selah, three times in only eleven verses. FUN FACT: This was Saint Augustine’s favorite psalm. Augustine had it inscribed on the wall next to his bed before he died in order to meditate on it better. 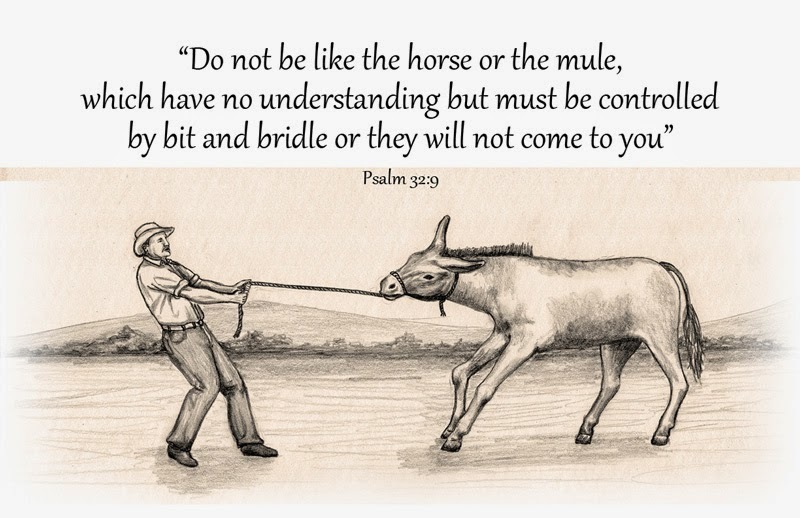 Psalm 1 tells the way to be blessed: don’t walk in the counsel of the ungodly, don’t stand in the path of sinners, but delight in God’s word – thinking deeply on it all the time. Yet if one has failed to do this and fallen into sin, Psalm 32 shows another way to be blessed – to make full confession and repentance of sin. David had great opportunity to know this blessedness in his own life. David had seasons of sin and what may be called backsliding or spiritual decline. Notable among these were David’s time at Ziklag (1 Samuel 27, 29-30) and David’s sin regarding Bathsheba and Uriah (2 Samuel 11). In each occasion David came to confession, repentance, and forgiveness. Therefore, David knew what it was like to be a guilty sinner. He knew the seriousness of sin and how good it is to be truly forgiven. He knew – as Paul would later state in Romans 4:6-8 the blessedness of the man to whom God imputes righteousness apart from works. Transgression — crossing a line, defying authority. David’s misery was directly connected to the oppression of unresolved sin and rebellion against God. Misery demonstrates you are in fact a son or daughter of God and God will not allow you to remain comfortable in habitual or unconfessed sin. One who feels no misery has far graver concerns. Theme of Psalm 32: Confession is the path to forgiveness. All we have to do is receive it. 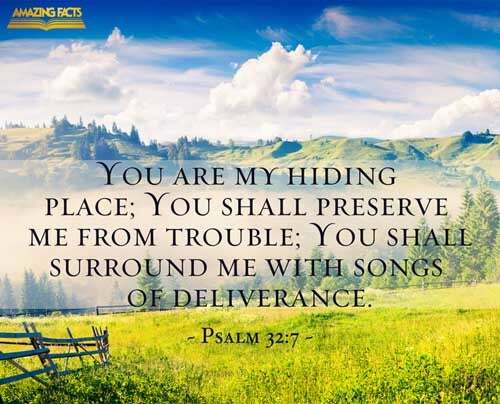 God Himself is our hiding place, a secure shelter. A good hiding place has strength, height, is not easily seen, and is reliable. Jesus is our safe place to fall. David prophetically spoke in God’s voice unto His people. Through this, God promised to instruct, teach, and guide His people. Fellowship is restored. David was like a dumb animal that could only be guided through pain or severity. God allowed the Amalekites to devastate David and his men (1 Samuel 30). God sent Nathan to speak sharply to David in his sin (2 Samuel 12). Like a dumb animal, David could not come near to God unless he confessed.